Five new green energy collaborations between private companies and Alberta First Nations are expected to create 1,000 jobs and enough renewable electricity to power nearly 300,000 homes. The partnerships are the latest phase of the provincial government's renewable energy program. "We're very fortunate that the Alberta government has understood us. They appreciate the need for us to become involved on the business side of alternative energy. It's a milestone," said Chief Roy Fox of Kainai First Nation on Monday. "We've been in the oil and gas sector for about seven decades … so this is another opportunity we feel the creator has given us." The five projects, which are expected to be running by mid-2021 are as follows. The 207-megawatt Windrise project will be built southwest of Fort MacLeod by TransAlta. The 202-megawatt Cypress Wind Power project near Medicine Hat will be built by EDF Renewables Canada in partnership with Kainai First Nation. The 48-megawatt Buffalo Atlee wind farms near Brooks will be built by Capstone Infrastructure in partnership with Sawridge First Nation. The 113-megawatt Stirling Wind project near Lethbridge will be built by Potentia Renewables, in partnership with Greengate Power Corporation and Paul First Nation. The 193-megawatt Jenner Wind project near Brooks will be built by Potentia Renewables. Environment Minister Shannon Phillips said the projects include a minimum 25 per cent Indigenous equity component, and will bring an estimated $175 million in rural benefits like landowner payments and municipal revenues. 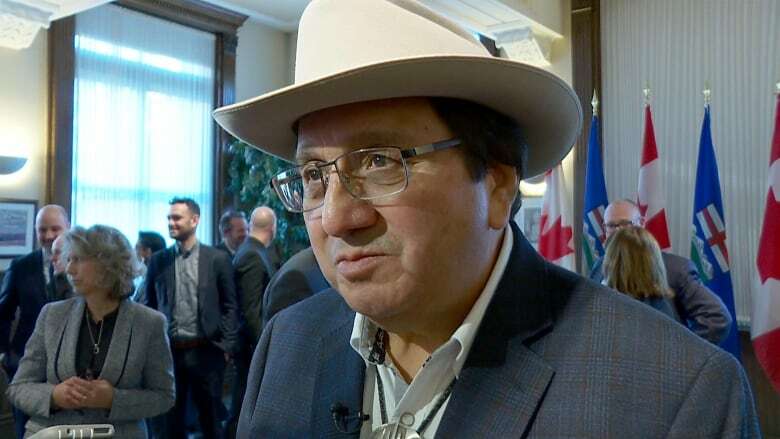 "For too long Indigenous communities have been left out of the overall economic benefits of whatever the resource under consideration," said Phillips at the announcement in Calgary. "With this program, we are making sure that as we build on our traditional strengths in the new economy that we also have new opportunities for Indigenous peoples." The average weighted price of energy for the projects will be a low 3.9 cents per kilowatt hour — just shy of the record-low Canadian price of 3.7 Alberta hit last year. For comparison, a 2016 Ontario procurement was 8.5 cents per kilowatt hour. The companies involved are a mix of Alberta-based, Ontario-based and international firms. Ontario's government cancelled hundreds of contracts for renewable energy projects this summer, many of which were multi-million-dollar projects in partnership with First Nations. Construction on the five projects is set to begin in 2020.